Our tile was so hard to keep clean! Dan came on time and worked magic!! We definitely will be suggesting him, to our friends, family! The bonus was he, even cleaned our sunroom!! Wasn't even on the books!! But he saw the need. 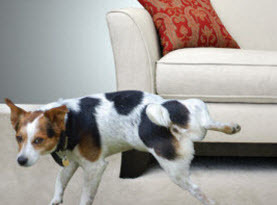 Family owned company that strives for customer satisfaction. 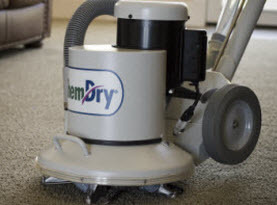 We have professionally trained technicians that service our customers. 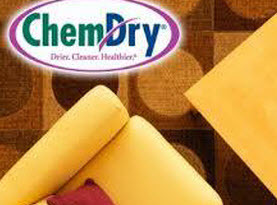 I personally use Chem-Dry for all my home needs and will always, even though I am a family member. 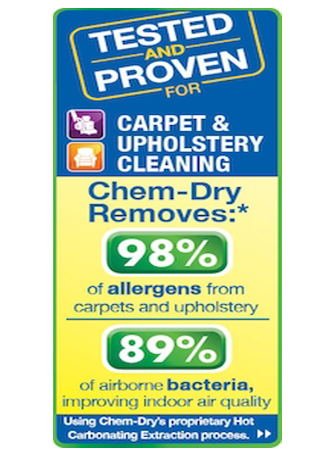 I certify the company for my in laws and my nephews severe allergies. Great products, great customer service and great work. I will definitely use them again. Dan and Deb are so polite and professional. Our entire office flooded on a Friday and they worked all weekend non-stop to get us ready to open on a Monday. They are truly heroes and they did an excellent and thorough job. Thank you!!! All my family ever used and all I will ever use.